It’s honestly been so long since I’ve seen The Hustler that I don’t remember the details all that well, but I don’t think it really mattered going into this much-later sequel. Now Fast Eddie Felson (Newman) is retired from the pool circuit, instead doing very well as a liquor salesman. 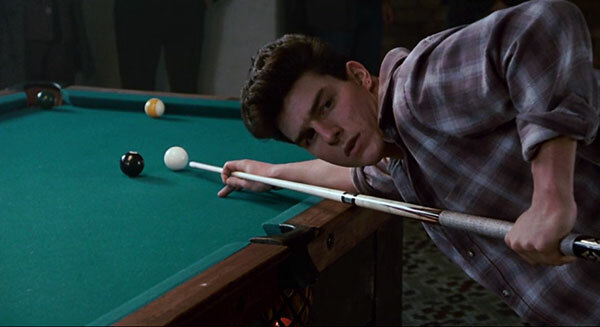 But when he meets Vincent (Tom Cruise), a hot-shot young player, Eddie takes him under his wing to teach him the hustling game. 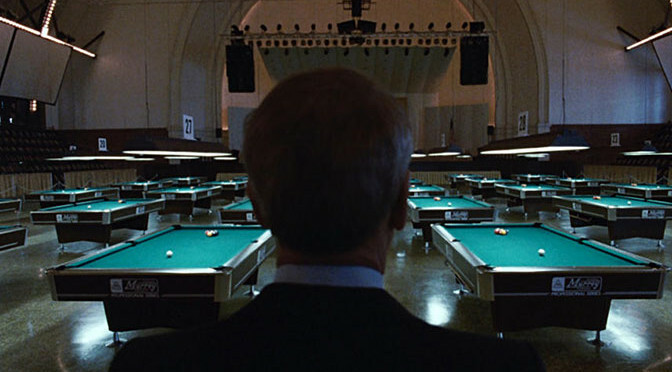 I’ve always thought it was interesting that Martin Scorsese chose to make a 25-years-later sequel to a pool hustling movie, and the movie doesn’t particularly scream “Scorsese” stylistically, but I can see the appeal. It’s men doing men things in a vaguely gangster-like setting, where honor and money compete for men’s souls. 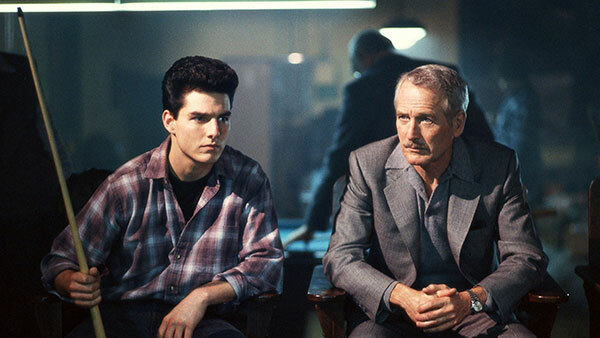 However, though I often find that “men doing men things” movies don’t appeal to me these days, I found a lot to appreciate about The Color of Money. 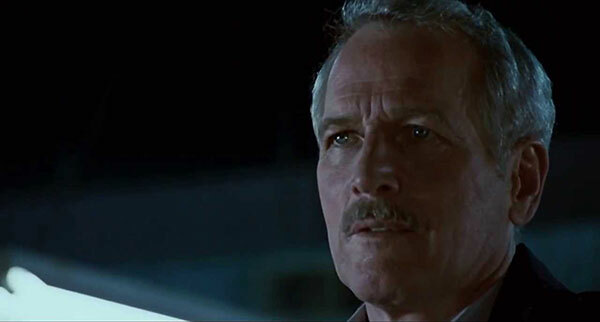 Newman is a master class, as always, investing the aging Eddie with a gravitas, exasperation, and coiled anger that perfectly fits the role of a retired pool shark who finds himself suddenly needing to know whether he’s a has-been. 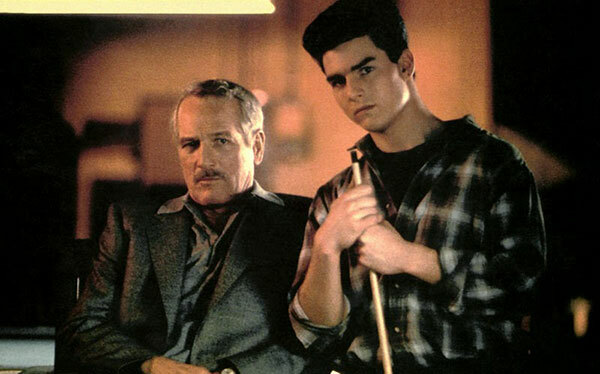 Cruise is very young, brash, and often quite annoying as Vincent, but he is the thorn that Eddie needs in his side. 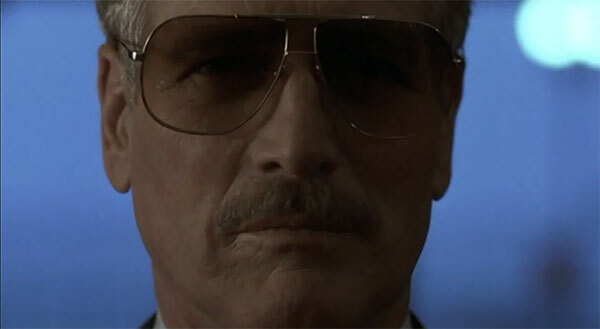 The movie really belongs to Newman, though, as well it should, and his shift from conman mentor to con victim to legitimate player is perfectly paced and richly acted. I don’t have a lot more to say, but I’m glad to have seen this one, and it’s made me want to revisit The Hustler. Definitely an underrated film in Scorsese’s canon, I think. It is now my #6 Martin Scorsese film, my #4 Paul Newman film, my #6 Tom Cruise film, my #10 Con Artist/Hustler film, my #7 Sports Drama, and my #4 film of 1986. The Color of Money was recommended by Andrew Robinson, a film blogger friend.